The retrieval of the plates. Martin Harris’ visit with Charles Anthon and other savants. The method and instruments of the translation. Attempts to secure a copyright for the publication of the Book of Mormon, including the attempt to secure a copyright in Canada. The 3 and 8 Witnesses. But perhaps one of the most exciting aspects of the new book is the artwork of Anthony Sweat, an assistant professor of Church history and doctrine at BYU. 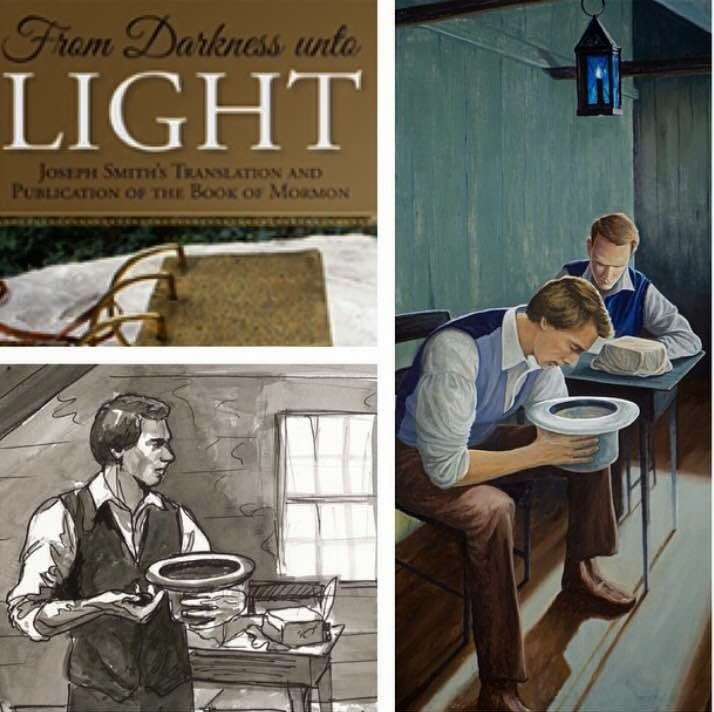 The book includes a number of original pieces by Sweat depicting Joseph Smith’s translation of the Book of Mormon by peering into a seer stone at the bottom of a hat. Below are three of the new pieces, taken from Sweat’s public Instagram page. Sweat also includes an appendix (“By the Gift and Power of Art”) explaining his artwork and artistic representations of the past in general. Students of early Mormon history and the Book of Mormon should absolutely pick up a copy of this book! I’ve only skimmed it so far, but what I’ve seen is fantastic, and just what the doctor ordered when it comes to good, solid, reliable, and faith-promoting scholarship on the early days of the Restoration and the coming forth of the Book of Mormon. I am excited to sink my teeth into this new volume, and hope you’ll do the same. With these statements from Dehlin and Runnells in mind, let’s take a closer look at what the Gospel Topics essay actually says about the Book of Abraham. I. The nature of the surviving papyri fragments. On this matter, the Gospel Topics essay matter-of-factly states that the surviving papyri fragments do not contain the Book of Abraham. “Scholars have identified the papyrus fragments as parts of standard funerary texts that were deposited with mummified bodies. These fragments date to between the third century B.C.E. and the first century C.E., long after Abraham lived.” However, this is by no means a “recent” admission or concession by the Church. In fact, what these authors fail to inform their readers is that the Church immediately identified the Joseph Smith Papyri fragments as copies of funerary texts when it received them from the Metropolitan Museum of Art in 1967. In the January 1968 issue of the Improvement Era, the Church identified the recovered fragments as “conventional . . . Egyptian funerary texts, which were commonly buried with Egyptian mummies.” The Church has reaffirmed this simple fact in subsequent publications. One might quibble here or there with the wording of these passages. For example, the Pearl of Great Price Student Manual mentions the late date of the papyri, but doesn’t explicitly mention that the papyri are fragments from the Book of Breathings and the Book of the Dead. Nevertheless, when these sources are combined, the basic point cannot be negated: the Church has straightforwardly taught that the surviving papyri fragments do not contain the Book of Abraham, but instead contain late copies of Egyptian funerary texts. Dehlin and Runnells are misleading their readers by claiming this “admission” is recent, or has just now been recognized by the Church in the 2014 Gospel Topics essay. In fact, the Church has acknowledged this fact since at least 1968. II. On why the Book of Abraham is not contained in the surviving papyri. Dehlin and Runnells both conspicuously fail to alert their readers to the part of the Gospel Topics essay on the Book of Abraham that explicitly addresses reasons why the Book of Abraham text was not recovered in the surviving papyri fragments. The essay clearly identifies at least two potential reasons. “It is likely futile to assess Joseph’s ability to translate papyri when we now have only a fraction of the papyri he had in his possession,” the essay notes. “Eyewitnesses spoke of ‘a long roll’ or multiple ‘rolls’ of papyrus. Since only fragments survive, it is likely that much of the papyri accessible to Joseph when he translated the book of Abraham is not among these fragments. The loss of a significant portion of the papyri means the relationship of the papyri to the published text cannot be settled conclusively by reference to the papyri.” In other words, the essay clearly recognizes the so-called “missing papyrus theory” as a possible explanation for why the surviving fragments don’t match the Book of Abraham. The essay also mentions the so-called “catalyst theory” for the Book of Abraham as another possible explanation. From this we see that Dehlin and Runnels have misled their readers by selectively presenting what the Gospel Topics essay claims about the relationship between the papyri and the Book of Abraham. III. What about Elder Holland’s BBC Interview? Although not explicitly mentioned by Dehlin in his letter to the First Presidency (although it is mentioned and, not surprisingly, distorted by Runnells), it is worth quickly looking at Elder Jeffrey R. Holland’s remarks on the Book of Abraham made in a 2012 interview with BBC reporter John Sweeney. When Sweeney pressed Elder Holland on the matter of the translation of the Book of Abraham, Elder Holland responded, “[W]hat got translated got translated into the word of God; the vehicle for that I do not understand.” What does this statement reveal? First, notice carefully that Elder Holland calls the Book of Abraham a “translation.” He also calls it the “word of God.” So Elder Holland, it appears, both accepts the Book of Abraham as an authentic “translation” and as inspired scripture. Second, notice that Elder Holland simply remarks that he doesn’t know the mechanism (“vehicle”) of the translation of the Book of Abraham. In other words, he doesn’t know precisely how the translation was performed. This is different from how Runnells and others have characterized Elder Holland’s remarks. Due to some obviously heavy editing of the original footage into what became the broadcasted program, it is impossible to know precisely what, if anything, Elder Holland said in addition by way of clarification. Notwithstanding, at the risk of speaking on behalf of Elder Holland, I believe it is safe to assume that he merely meant he didn’t know the precise nature of the translation (e.g. “missing papyrus,” “catalyst,” or something else), and wasn’t obfuscating in some way about the Church’s position. 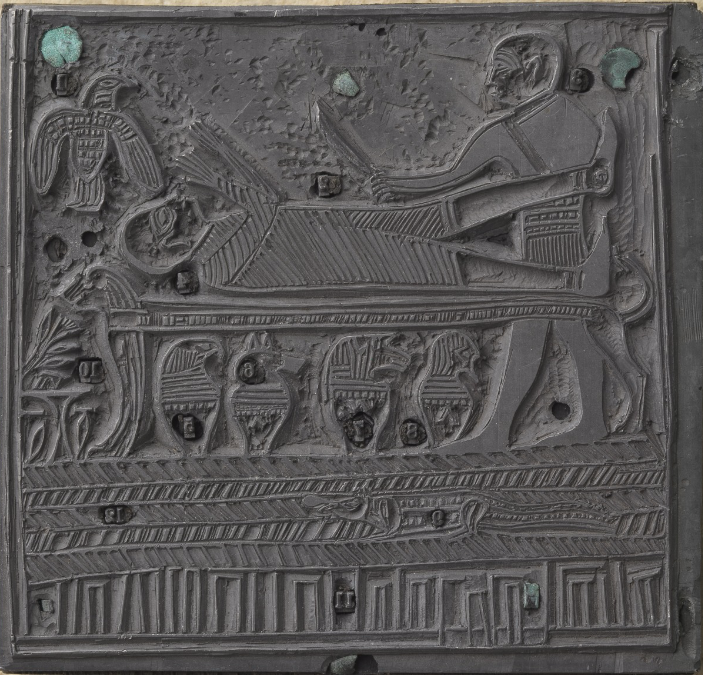 The essay therefore provides an explanation for why images illustrating the Book of Abraham could’ve ended up attached to an Egyptian funerary text, and why there is otherwise disjunction between Joseph Smith’s interpretation of the facsimiles and Egyptologists’ interpretations. In fact, the essay goes on to further explain, “Some have assumed that the hieroglyphs adjacent to and surrounding facsimile 1 must be a source for the text of the book of Abraham. But this claim rests on the assumption that a vignette and its adjacent text must be associated in meaning. In fact, it was not uncommon for ancient Egyptian vignettes to be placed some distance from their associated commentary.” Thus, in order to fully appreciate the Church’s explanation of the facsimiles, one needs to keep this commentary in mind. To omit it is to ultimately distort a critical aspect of the Church’s apologia for the Book of Abraham. V. The 2013 edition of the Pearl of Great Price. Before concluding, it is worth highlighting the changes made to the 2013 edition of the Pearl of Great Price. The pre-2013 edition of the Pearl of Great Price identified the text as “[a] translation from some Egyptian papyri that came into the hands of Joseph Smith in 1835, containing writings of the patriarch Abraham.” By comparison, the 2013 edition characterizes the Book of Abraham as “an inspired translation of the writings of Abraham. 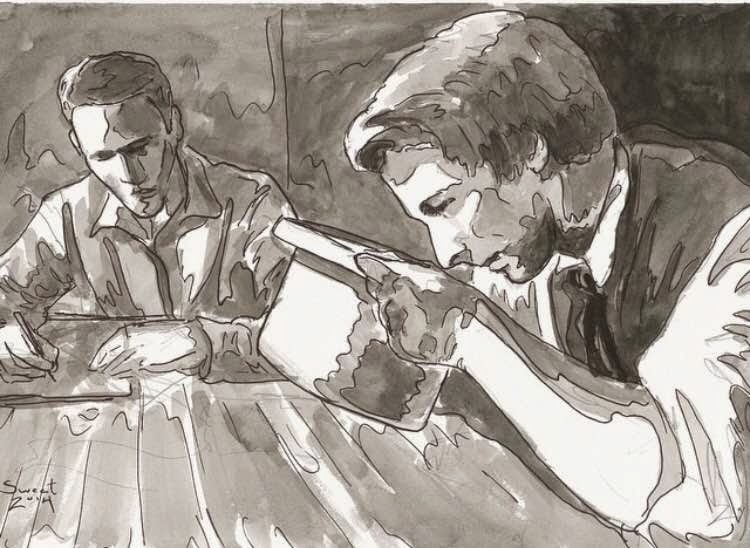 Joseph Smith began the translation in 1835 after obtaining some Egyptian papyri.” Some have argued that this is another admission by the Church that the Book of Abraham isn’t really a translation. This seems unlikely, however, since the 2013 edition still retains the (slightly modified) header that has accompanied the Book of Abraham since its 1842 publication: “A Translation of some ancient Records that have fallen into our hands from the catacombs of Egypt. The writings of Abraham while he was in Egypt, called the Book of Abraham, written by his own hand, upon papyrus.” If the Church really was ceding ground on the Book of Abraham as a translation, one has to wonder why they left in this rather explicate superscript to the text. Another overlooked change in the 2013 edition of the Pearl of Great Price comes at the beginning of the introductory page. The pre-2013 edition explains that “[t]hese items [i.e. 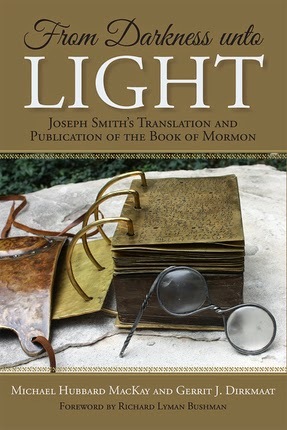 the contents of the Pearl of Great Price] were produced by the Prophet Joseph Smith and were published in the Church periodicals of his day.” The 2013 edition, however, reads, “These items were translated and produced by the Prophet Joseph Smith, and most were published in the Church periodicals of his day.” Notice here the word “translated” was deliberately added in reference to the materials found in the Pearl of Great Price, which would presumably include the Book of Abraham. Thus, far from backing away from the Book of Abraham as being a translation of some sort, the Church, it could be argued, has in recent years actually reinforced an understanding of the Book of Abraham as a “translation.” The new edition of the Pearl of Great Price simply affirms that the Book of Abraham is an “inspired translation of the writings of Abraham,” while omitting details of the exact process, which remains up for debate. In conclusion, one would do well to eschew the mishandled and misleading presentations of the Church’s position on the Book of Abraham offered by Dehlin and Runnells. The 2014 Gospel Topics essay hasn’t “conceded” or “admitted” anything about the Book of Abraham. The contents of the essay have, by and large, been circulating in both Church materials and other Mormon publications for decades. On the other hand, Dehlin and Runnells have omitted important material that helps us better understand this remarkable scriptural work.